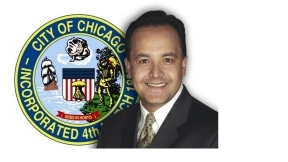 Recently, Alderman George Cardenas introduced a new policy intended to generate additional revenue to the City of Chicago with the help of the Non-Resident Employee Fee. As part of the Non-Resident Employee Fee non-resident employees will be charged a $200 annual fee in order to split the cost of city services and alleviate the tax burden on city residents. Ald. 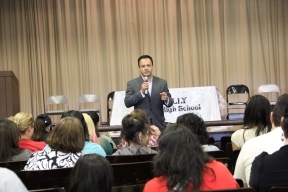 Cardenas spoke to Lawndale Bilingual Newspaper to further discuss the latest policy. Lawndale Bilingual News: The Non-Resident Employee Fee is an interesting way to generate additional revenue for the City of Chicago. Tell me, what compelled you to create this new policy? Alderman George Cardenas: It’s a question of fairness and equity. We spare no expense to clear the downtown area from snow or trash or traffic. There are no red light cameras or speed cameras of any sort. Yet, neighborhoods do not receive the same services and carry the burden of red light and speed cameras. Looking at data shows employment and infrastructure investments outside of downtown do not compare. Chicago gets very little benefit from employment as majority goes to non-residents. We do not get 100 percent of the cost of improvements to roads and other amenities. As a leader I must find paths to create revenue from new sources. The citizens of Chicago cannot and should not be the entire burden of our economy. As a citizen I share these same burdens of higher taxes and fees. It’s the 21st Century and we must govern as such including innovative means to revenue. These types of fees have been successful for other cities. We must find these successful paths here. If we rely on the non-resident fee, then people (users) would be more connected to the public goods and services that they consume. Not only would these fees be more comprehensive but they would create incentives for conservation. You briefly touched upon how the Non-Resident Employee Fee will help alleviate tax burden on residents by charging a $200 annual fee to non-residents. Please expound on exactly how it will help and how the additional revenue will be distributed? Upon review of the American Community Census over 600,000 people commute by car to work in the city besides the thousands that come by train and bus. The Fee can bring $100 to $200 million per year. As the Grassroots Collaborative study has shown (cited in Op-Ed) our minorities are being displaced to include more suburban employees. Following is a break down from our fact sheet. An employer may be influenced to hire more Chicagoans to deflect fee responsibility, a partial goal of the fee. Beyond the fee, employers may not want the responsibility of researching their employee’s addresses and the paperwork and time to communicate with the City. Service departments responsible for care and maintenance of the “right of way” will be refunded with fee revenue. Forty percent of fee revenue will be equally divided into the following departments as a way to supplement their service budgets: Police, Fire, OEMC, Transportation and Streets and Sanitation. Revenue from the fee may cover up to half of a service department’s budget. Chicago’s minority residents will be provided expanded job service centers to increase employment success. The Chicago General Revenue Fund will be supported by revenue from the fee, possibly in the tens of millions. The Chicago Clerks Office would be directly refunded for the fee’s implementation costs directly from fee revenue. Aside from this new policy, what other policies are you currently working on? We are diving into a fact finding mission of our utilities including ComEd, Peoples Gas, and ATT. We have a franchise agreement with ComEd. Are we getting our fair share? We do not have a franchise agreement with Peoples Gas, why not? ATT? We don’t know. There could be others. Stay tuned. Again, we maintain the City including electrical poles, grounds, streets etc but do not receive any revenue to replenish the budget. Our “right of way” is a precious resource that all residents, non-residents and businesses must respect and maintain together. If we tackle the revenue beast then we can look at programs to improve mental health and job training and other neighborhood improvements. Stress on the “neighborhoods.” We must improve our neighborhood infrastructure like viaducts so truck traffic does not snarl our roads. This is particularly acute in the 12th ward which has a great blend of heavy truck traffic and industry through our neighborhoods.